U.S.S. Spuyten Duyvil was designed, built and launched in 1864, as one of the first purpose-built torpedo boats in the United States Navy, and the first where the spar torpedoes could be reloaded from inside the hull. She spent 1865 on the James River outside of Richmond supporting the Union fleet that faced down the Confederate James River Squadron. Once Richmond surrendered in April 1865, Spuyten Duyvil used her torpedoes to clear obstacles to open up the river to Union ship traffic. 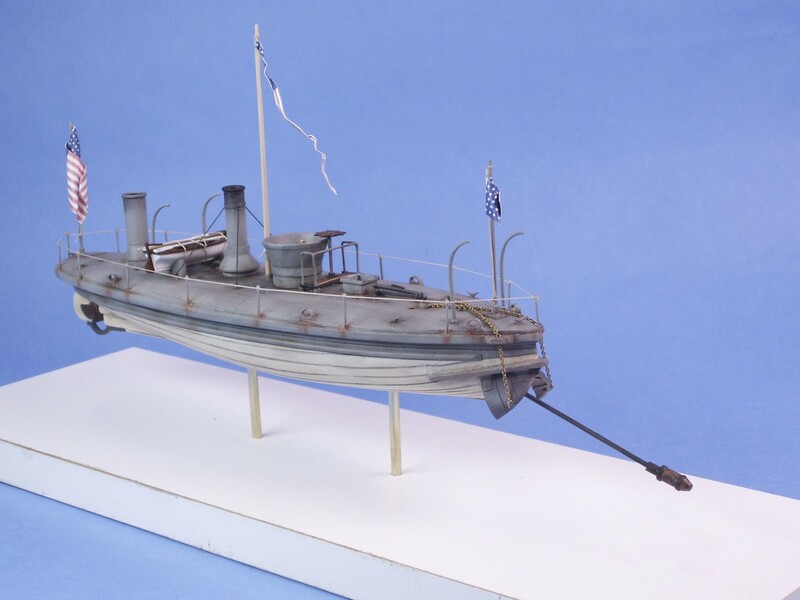 The Cottage Industry kit is approximately 10 ½” long without the Spar Torpedo, the kit features resin and cast metal fittings, with some brass and wood included. Some very minor scratch building required from supplied materials, and instructions. Flag sheet and fully illustrated thorough instructions are also included. This is a very nice weekend project, or good kit for those with little or no experience building resin model kits.